Ann Caruso and Ryan Lansing were married on Oct. 10. 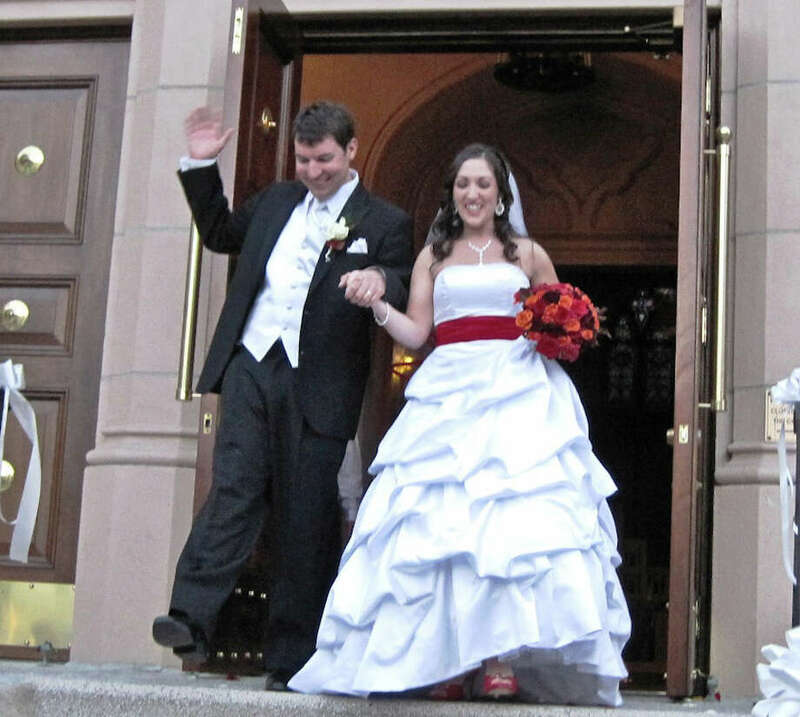 Ann Caruso and Ryan Lansing were married on Oct. 10 at St. Francis of Assisi Church in Mt. Kisco, N.Y. The Rev. Steven Clark performed the double-ring ceremony. The bride is the daughter of Janet Caruso of Yonkers, N.Y., and Stephen Caruso of New Rochelle, N.Y. The groom is the son of Carol and Richard Lansing of Fairfield. The bride was attended by Samantha Lake of Lakewood, N.J., matron of honor. Her bridesmaids were her sisters, Jaclyn Caruso of Yonkers, N.Y., and Cristiana Caruso of New Rochelle, N.Y.
Christopher Rogers of London, England, and Darren Skott of Norwalk served as the best men. Ushers and readers were the bride's brother, Steve Caruso of Yonkers, N.Y., and the groom's brothers, Richard Lansing of Mequon, Wis., Ray Lansing of Trumbull, and Randy Lansing of Plantation, Fla. The music was provided by organist Timothy Lyons and soloist Francis Courtenay. The bride attended the Ursuline School in New Rochelle. She is a graduate of Fordham University School of Business and has received her Master of Business Administration from Regis University. The groom graduated from Fairfield High School. He received his bachelor's degree in chemical engineering from Purdue University and his Master of Business Administration from New York University. A reception took place at The Mt. Kisco Holiday Inn. The couple honeymooned in Hawaii and lives in Westchester, N.Y.